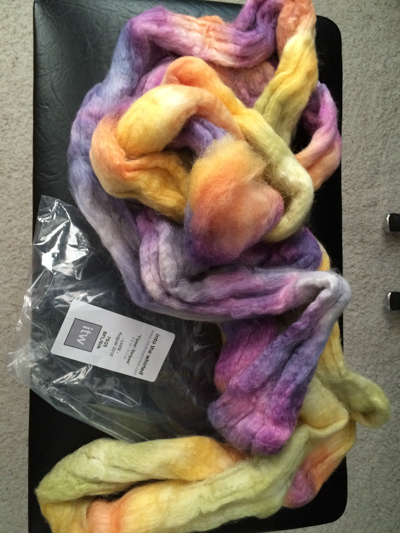 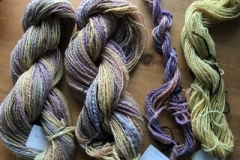 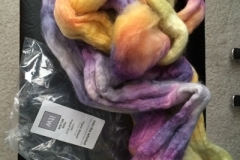 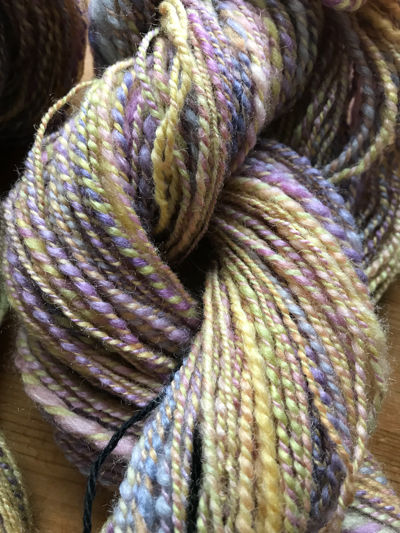 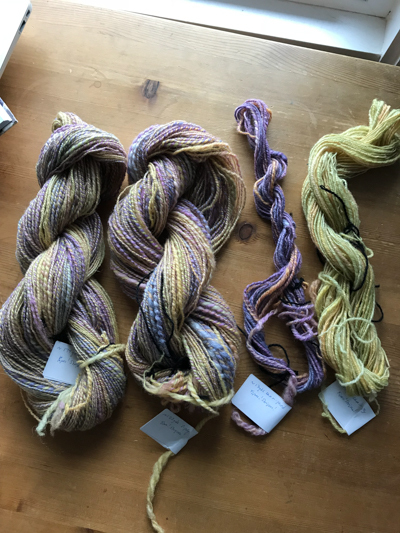 Yarn: My own handspun — from ITW Yipes!Stripes! 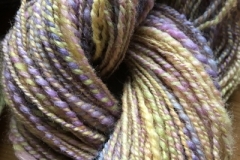 I had spun the yarn thinking “socks”, and then decided a 2-ply really wasn’t going to be a sturdy enough yarn for socks. 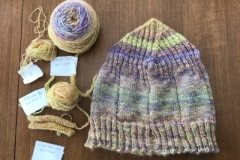 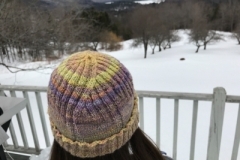 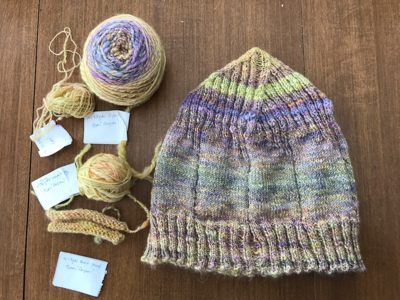 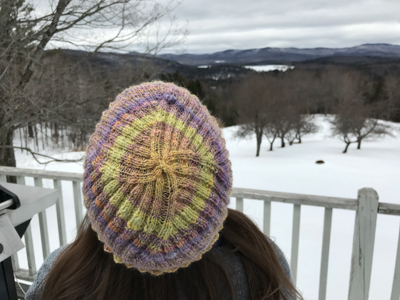 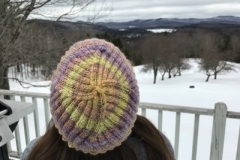 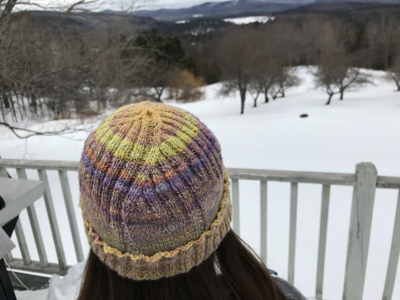 Brought the yarn with me on travel, and started thinking about hats (since I’d left mine behind and missed it). 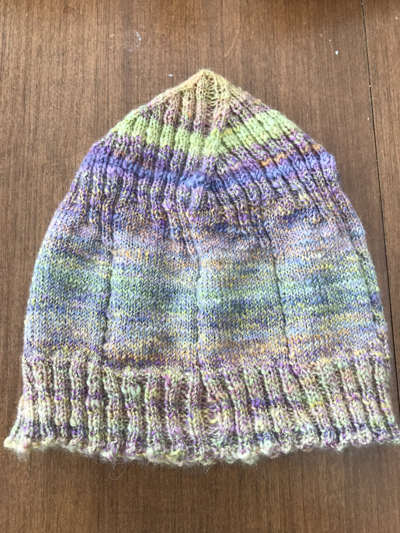 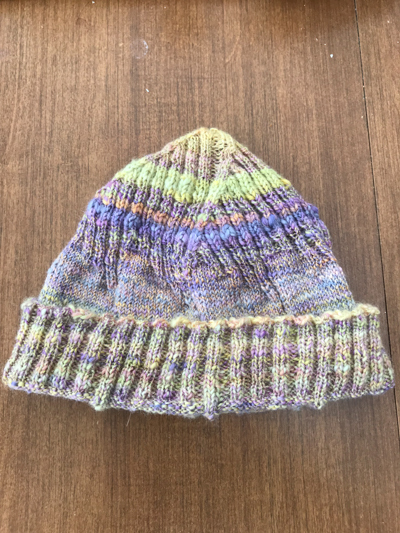 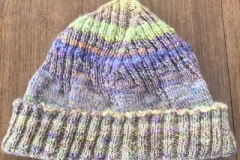 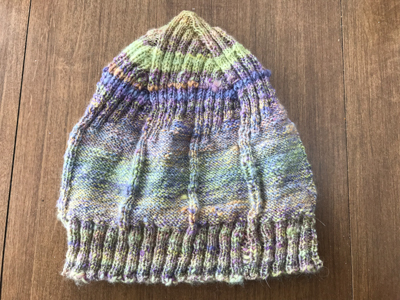 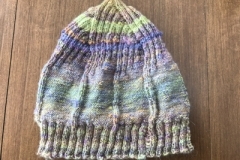 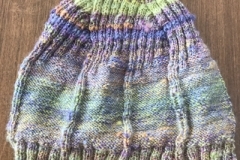 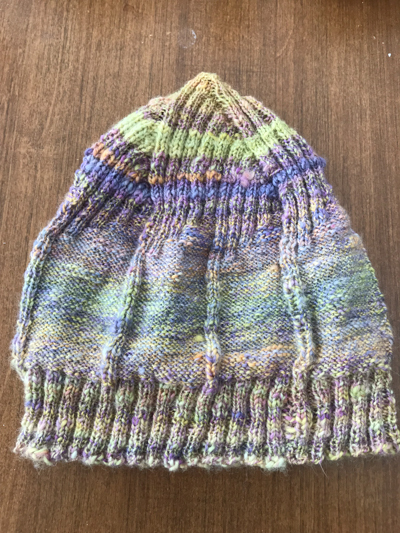 This is largely “Ribbed for His Pleasure”, a simple beanie pattern for a man’s hat. 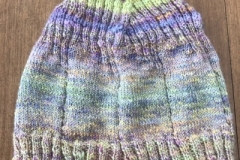 I didn’t do the ribbing throughout, because I wanted to see the yarn and its color evolutions in stockinette. 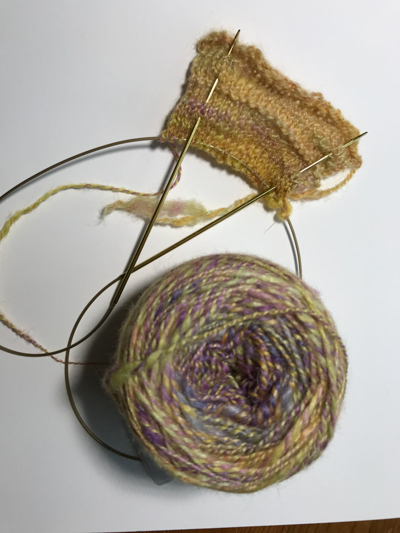 I left 8 rib channels throughout, and started bringing in the other channels gradually (4 rows and then adding the next) to make a step process. 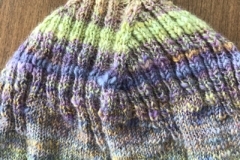 When I had 4 rows of all-ribbing re-established, I started the crown. 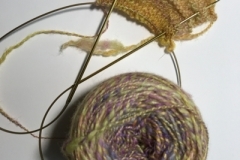 I did all of that with the thinner 2-ply I had made.